Last night I was invited to attend a silent night tour at the Dennis Severs House in Spitalfields. I love visiting historic houses, wondering what it must have been like to live there back in the day. 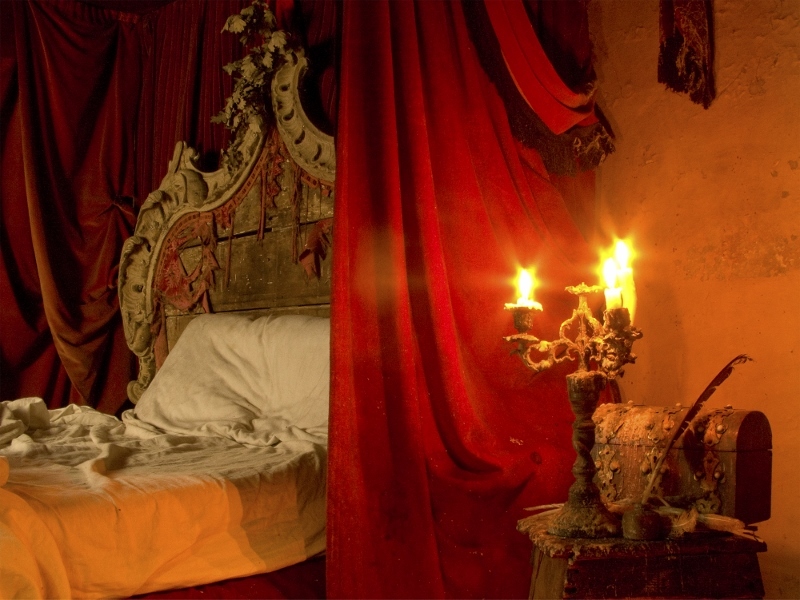 However, the Dennis Severs House is a little bit different. 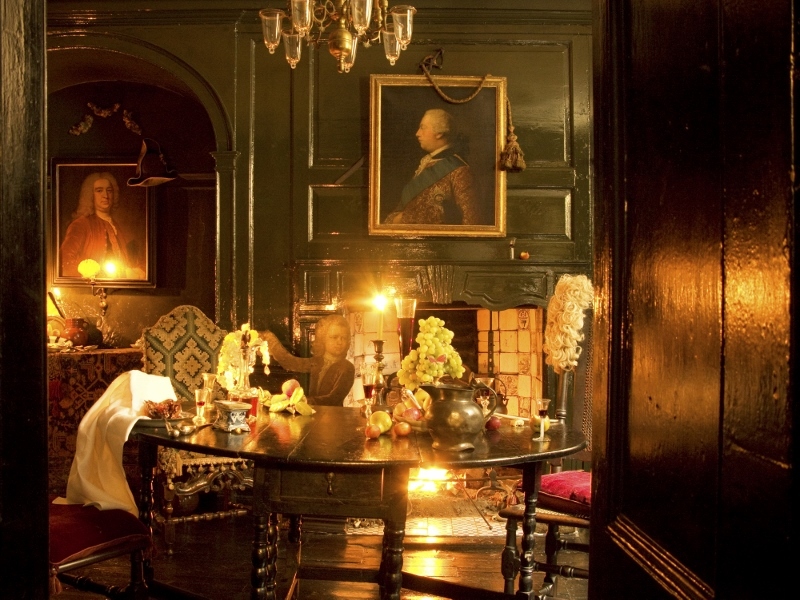 Here, you don't need to wonder, the Dennis Severs House actually takes you there. Dennis Severs was an American artist who lived on 18 Folgate Street from 1979 till 1999. He refurbished his house in 18th and 19th century styles, creating a unique experience for his visitors who would be stepping into his tangible still-life piece of art. Walking through the ten rooms is like walking through 18th century London life of an imaginary family of Huguenot silk weavers. Every single room feels like they're actually living here, but they've just gone into another room. I see a half eaten fruit in the kitchen, spilled tea and a broken tea cup in the parlour, knocked over furniture in the drawing room and I can even hear the soft murmur of their voices overhead. They're there, but I keep missing them. Every room has its own atmosphere. Down in the cellar, I enter the pleasant kitchen where someone has just been toasting bread and leftovers of a meal are still on the table. The warm mood is enhanced by smells of fragrant spices, the soft candle light and the warmth of a crackling open fire, making me feel as if I'm standing in the heart and soul of the entire house. Upstairs the bedrooms have that 'we just got out of bed' feeling. The pillows are still dented, the sheets are rumpled. Someone's been sitting in front of the mirror choosing ribbons, brushing her hair and splashing rose water on her face. In the attic the mood gets a bit grim and reflects the despair of the time when the silk trade was on a downward spiral. The smell of damp air welcomes me as I walk up the rickety stairs, dodging the washing that's drying in the stairwell. The furniture in the two rooms is not pretty, paint is peeling off the walls, the cold evening air is flowing through holes in the ceiling, cobwebs brush against my face. The sound of explosions is heard in the background. A description tells me that that these are cannon shots fired off by the river Thames to mark the coronation of Queen Victoria. The poor weaver family has rushed out to watch this which must be a little shimmer of happiness in their dismal lives. After my spellbinding visit I make my way through reality, back to my flat. I open the door and I'm greeted by the smell of damp laundry hanging out to dry, a half eaten bagel and some spilled coffee on my kitchen counter and a bed that I forgot to make when I left the house that morning. Funny how this doesn't have the same mesmerising effect on me as the still-life drama at the Dennis Severs House. This still-life scene, I just call it a mess. 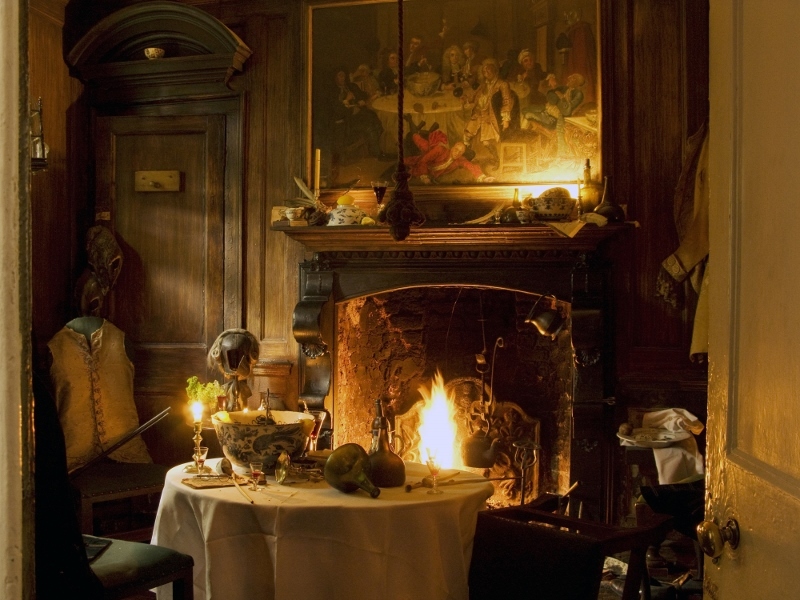 For more information about visiting the Dennis Severs House, click here. I was invited by Dennis Severs House to visit as a guest.